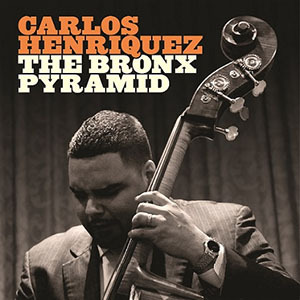 New York, NY – Wednesday, August 19, 2015 – On Tuesday, in an unprecedented exclusive announcement via Livestream, critically acclaimed bassist and Latin music master Carlos Henriquez announced he will release The Bronx Pyramid, his debut recording as a leader, on Blue Engine Records on September 18, 2015. The Bronx Pyramid, the second release from Jazz at Lincoln Center’s Blue Engine Records, features Henriquez expertly blending modern jazz with Latin rhythms on original compositions and new arrangements of Latin and jazz standards. Exclusively for this recording, Henriquez is joined by an all-star roster of musicians including fellow Jazz at Lincoln Center Orchestra member, drummer Ali Jackson; special guest vocalist Rubén Blades, who appears on “Descarga Entre Amigos;” and percussionist Pedrito Martinez, who appears on the title track. Henriquez and the Jazz at Lincoln Center Orchestra with Wynton Marsalis will premiere selections from The Bronx Pyramid on September 12, 2015 at 8pm at Lehman Center for the Performing Arts, located in Henriquez’s native Bronx, New York. 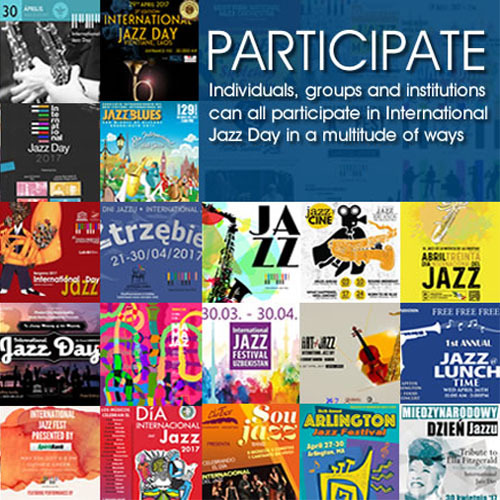 For more information and tickets, go to jazz.org/Bronx. 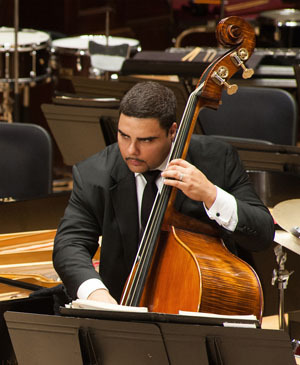 Henriquez started studying music at a young age, playing guitar through junior high school and taking up the bass while enrolled in The Juilliard School’s Music Advancement Program. He entered LaGuardia High School of Music & Arts and Performing Arts and was involved with the LaGuardia Concert Jazz Ensemble, which went on to win first place in Jazz at Lincoln Center’s inaugural Essentially Ellington High School Jazz Band Competition & Festival in 1996. In 1998, shortly after graduating high school, Henriquez joined the Wynton Marsalis Septet and the Jazz at Lincoln Center Orchestra. Since then, he has toured the world and been featured on more than 25 albums. Henriquez has performed with artists including Chucho Valdés, Paco de Lucia, Tito Puente, the Marsalis Family, Willie Nelson, Bob Dylan, Stevie Wonder, Lenny Kravitz, Marc Anthony, and many others. He has been a member of the music faculty at Northwestern University School of Music since 2008 and was music director of the Jazz at Lincoln Center Orchestra’s premiere residency in Havana, Cuba in 2010. Blue Engine Records releases new studio and live recordings as well as archival recordings from Jazz at Lincoln Center’s performance history that date back to 1987 and are part of the R. Theodore Ammon Archives and Music Library. Since the institution’s founding in 1987, each year’s programming is conceived and developed by Managing and Artistic Director Wynton Marsalis with a vision toward building a comprehensive library of iconic and wide-ranging compositions that, taken together, make up a canon of music. These archives include accurate, complete charts for the compositions – both old and new – performed each season. Coupled with consistently well-executed and recorded music performed by Marsalis and the Jazz at Lincoln Center Orchestra, this archive has grown to include thousands of songs from hundreds of concert dates. The launch of Blue Engine is aligned with Jazz at Lincoln Center’s efforts to cultivate existing jazz fans worldwide and turn new audiences onto jazz.